Goal: People perceived Tulipan as a brand with an excellent communication but not as a safe condom. We had to demonstrate that the condoms were safe and of maximum quality. 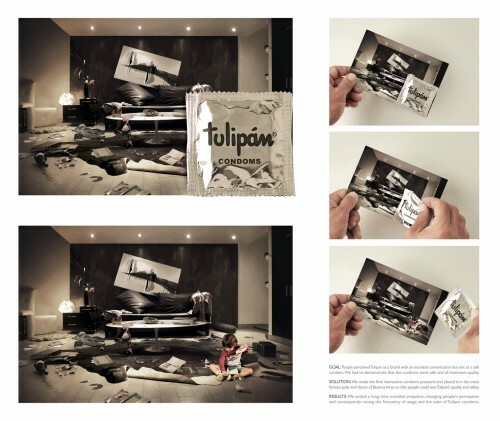 Solution: We made the first interactive condoms postcard and placed it in the most famous pubs and discos of Buenos Aires so that people could test Tulipan’s quality and safety. Results: We ended a long time installed prejudice, changing people’s perception and consequently raising the frequency of usage and the sales of Tulipan condoms.